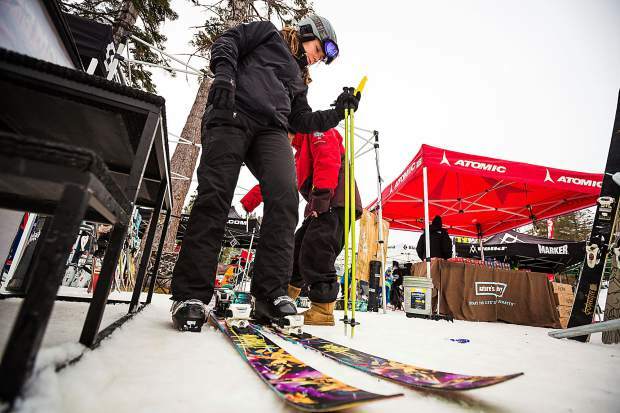 Your Tahoe Weekend: Backcountry Demo Day, twilight snowshoe tours and more! 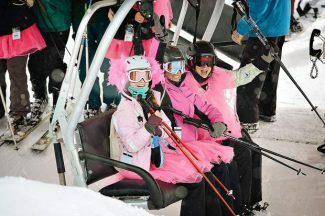 Skiers and snowboarders will want to take part in the Lake Tahoe Backcountry Demo Event this weekend. 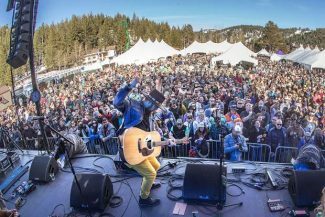 TAHOE-TRUCKEE — Below are the Sierra Sun’s picks for the Top 10 events to check out this weekend at Truckee and Lake Tahoe. Join Mt. Rose Avalanche Rescue Dogs and Alibi Ale Works for the fundraising kick-off party and the debut of “SnowDog” IPA. 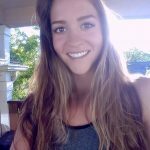 A raffle of prizes from Alpenglow Sports, Ortovox, Moment Skis, Natural Paws and many more will help raise funds for the four dogs and their trainers. When: Friday, Jan. 20 | 6-11 p.m.
Every Friday night, Gar Woods invites party people to have fun and enjoy live music, food and drink specials. There is a raffle held every hour, and one lucky winner will walk away with a snowboard grand prize. When: Friday, Jan. 20 | 6:30-9:30 p.m.
Start your day in the best way with exclusive access to fresh powder or untouched corduroy every Saturday through March 25. Reservations are recommended. Alpenglow Sports has once again partnered with Alpine Meadows for this 11th annual event. Participating vendors include DPS, Black Crows, Dynafit, Tecnica, Blizzard, G3, Scarpa, NTN, Salomon, Scott, Marker, Volkl, Twenty-Two Designs, La Sportiva, Voile, Moment, Julbo, Fly Low, Jones Snowboards and more. When: Saturday, Jan. 21 | 9 a.m. to 3 p.m.
Dance the night away on the North Shore this weekend as DJ duo All Good Funk Alliance will perform a free show inside the Crystal Bay Casino’s Red Room Saturday night. When: Saturday, Jan. 21 | 10 p.m. When: Saturday, Jan. 21 | 8:30-11:30 p.m.
Take an evening to slow down and enjoy the peaceful setting of the Sierra Nevada during Northstar’s guided snowshoe tour. During the adventure, snowshoer’s will also relax around a fire pit to enjoy live acoustic music, s’mores and hot chocolate. Dogs on leashes are welcome. It’s been 24 years since Big Bad Voodoo Daddy began playing music in Southern California. 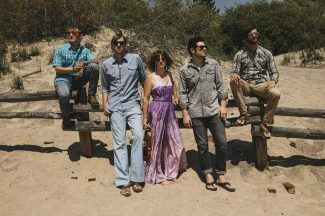 This weekend, the band brings its blend of jazz and swing to South Shore for a headlining gig at Harrah’s Lake Tahoe. When: Saturday, Jan. 21 | 7:30 p.m.
All First Responders will be able to ride at Homewood for free on Sunday, and their families will receive 50% off lift tickets. In addition a raffle will be held with all proceeds benefiting the North Tahoe Fire Protection District. When: Sunday, Jan. 22 | 8 a.m. – 4 p.m.
Dawes has a new sound — and the four-member band is bringing it to South Shore this weekend. The band released its newest album, “We’re All Gonna Die,” last year, and the new bass- and keyboard-heavy songs may come as a surprise to longtime fans. When: Friday, Jan. 20 | 8 p.m.